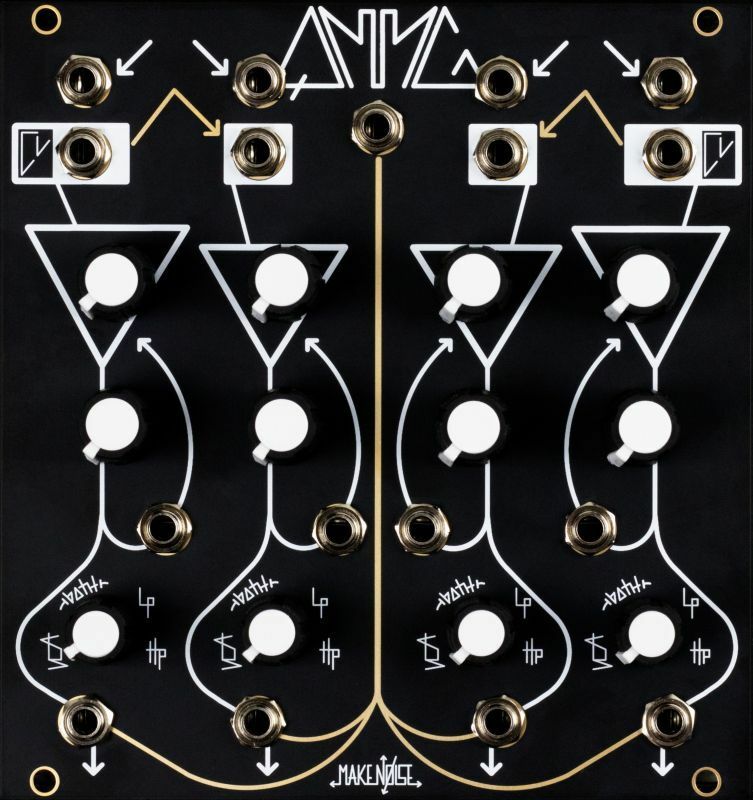 The Quad Multi-Mode Gate music synthesizer module is a huge riff on the original Buchla 292 Quad Lo-Pass Gate, including a Mix Out and all of the original feature set. 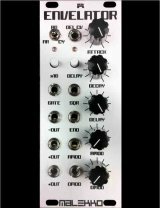 The QMMG offers additionally: HiPass mode, Voltage Controlled Feedback, Direct Coupling and Normalizations so that multiple channels may easily be used together to create Bandpass Gates, steeper HP, BP or LP Filters or even something like a traditional Synthesizer Voice Architecture. The QMMG contains no fewer than 8 Vactrols! The 2018 black and gold reissue of the QMMG is functionally identical to the original. The Top board was re-engineered to use analog pots for mode selection instead of analog switches. The only change to the bottom board is the addition of reverse power protection. The signal path and circuit have not changed.